Couldn't find a Star Wars ornament. The one I originally wanted was no longer available in the birth month I needed. 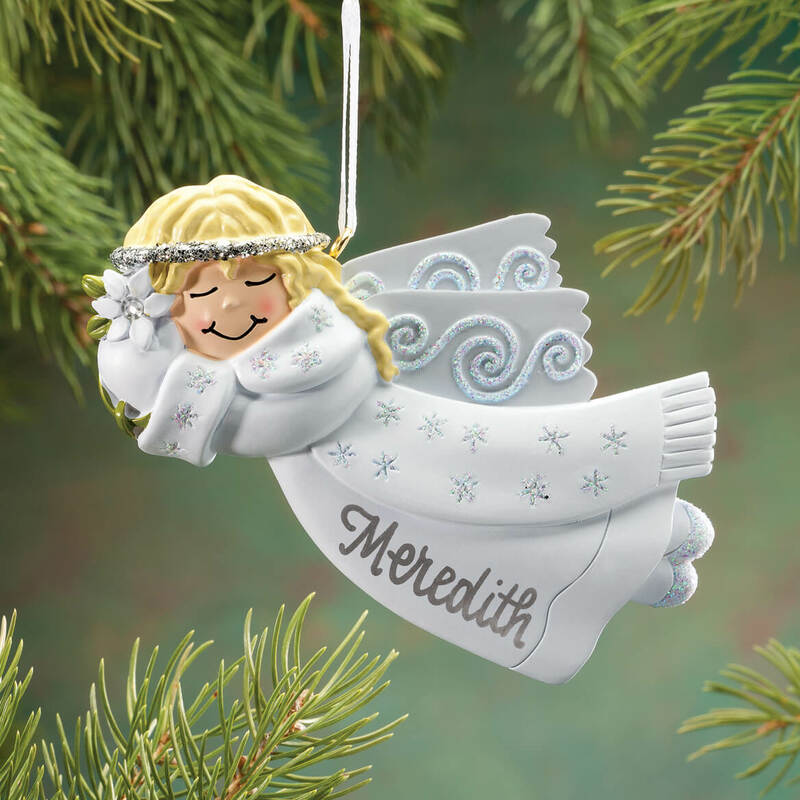 Christmas ornament for my Granddaughter. The one I really wanted wouldn't allow the 9 letters needed for her name. This one did. Reminded me of my granddaughter. My granddaughter is an angel. 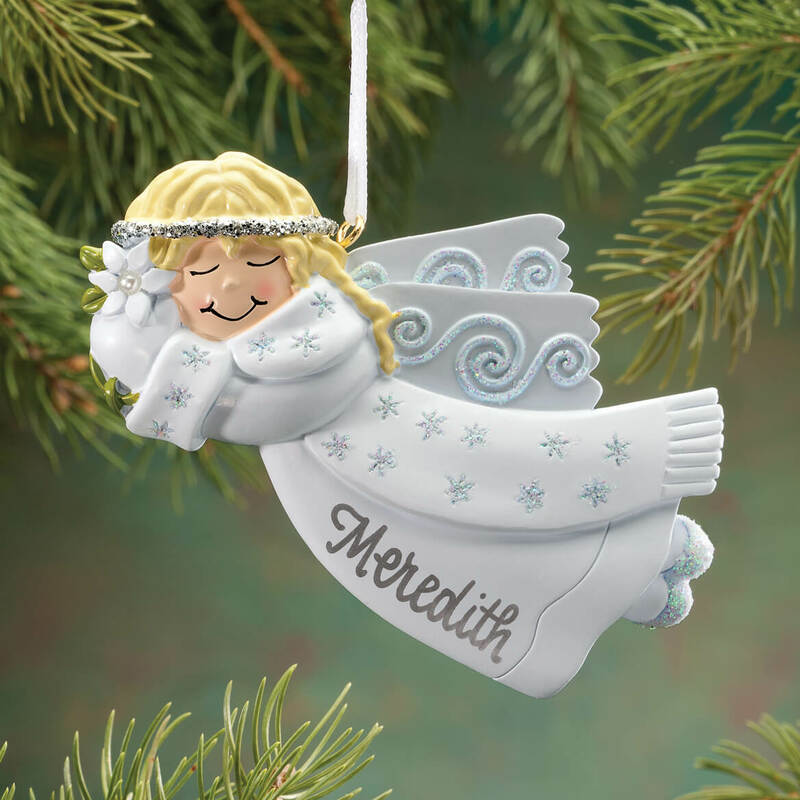 Looks cute, well made, I buy ornaments every Christmas for my grandchildren. I do not like the lettering that will be on this one though. Could block lettering be printed on it instead? Bought these for all the girls in the family.Very nice! 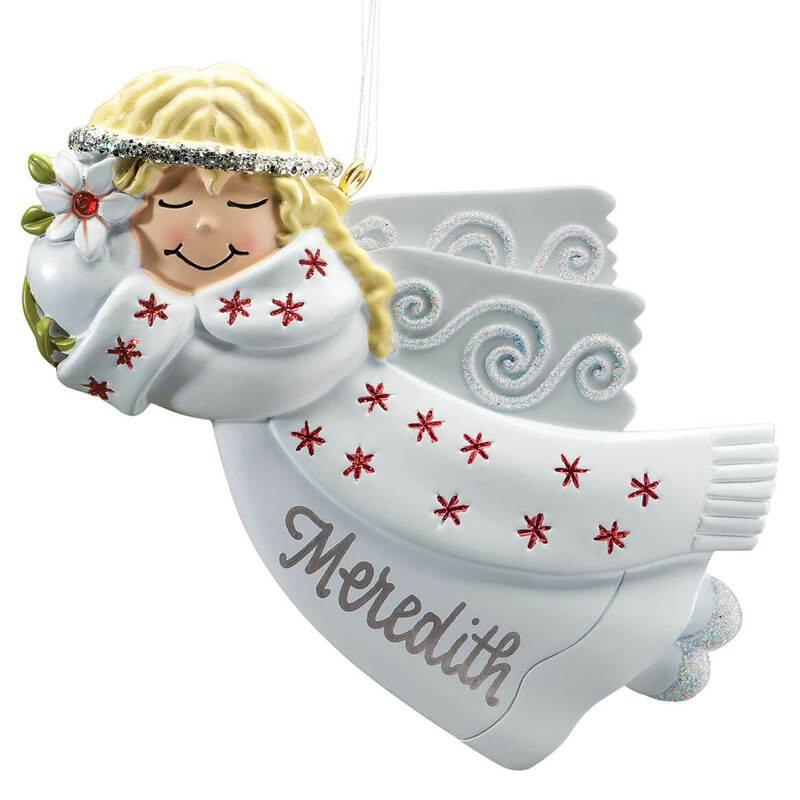 I chose the pretty little angel because they are for my granddaughters who also are pretty little angels. 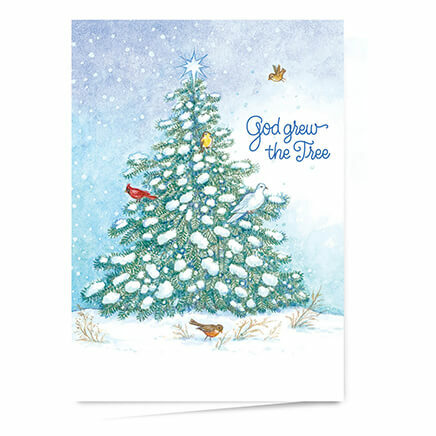 I know they will love them and enjoy putting them on their Christmas tree year after year. 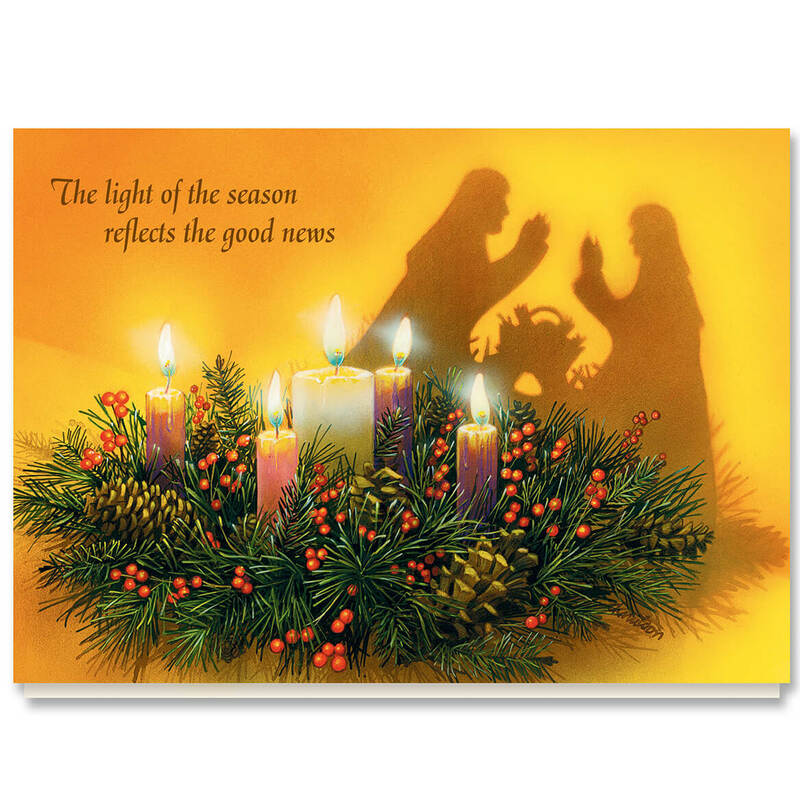 This is for a great granddaughter as I had always given her mother angels for Christmas. My grandkids will love their personal ornament for Christmas! I ordered it for my granddaughter and I really liked all the details. Did not order this item. I ordered personalized birthstone bell ornaments. So cannot comment on the item shown or describer..
Granddaughters love angels. This seemed like a nice keepsake for them. Cute, personalized, birthstone all rolled into one. My grandchild (and her parents) loved it! Six of these were ordered as gifts for Christmas. My friend will love this. I wanted something personal for a girl I mentor. I bought one for each of my Great Granddaughters. It's a beautiful ornament they can enjoy for the rest of their life. 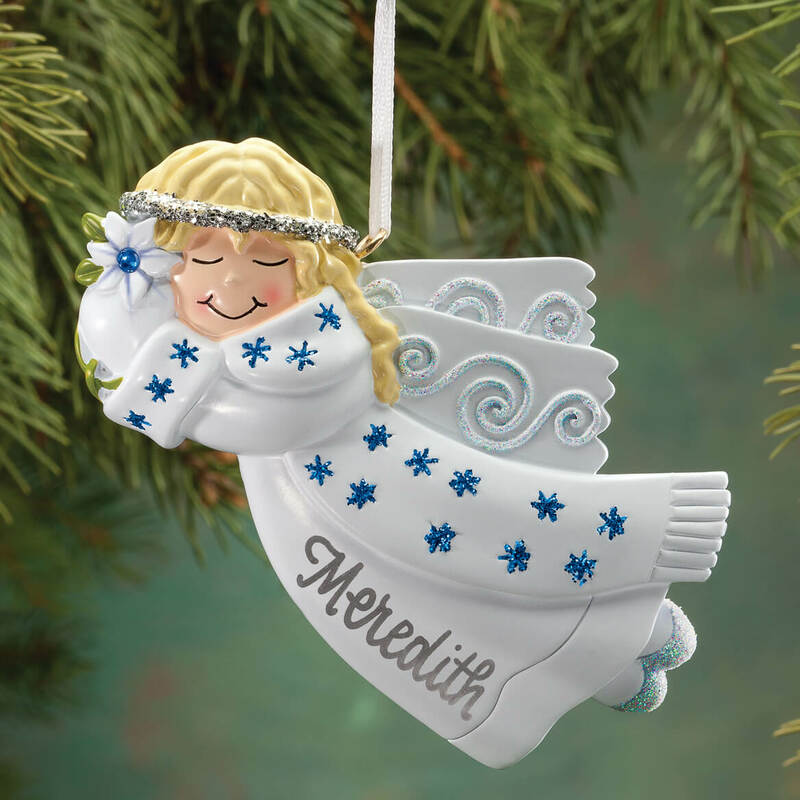 The angel is perfect for my angel. 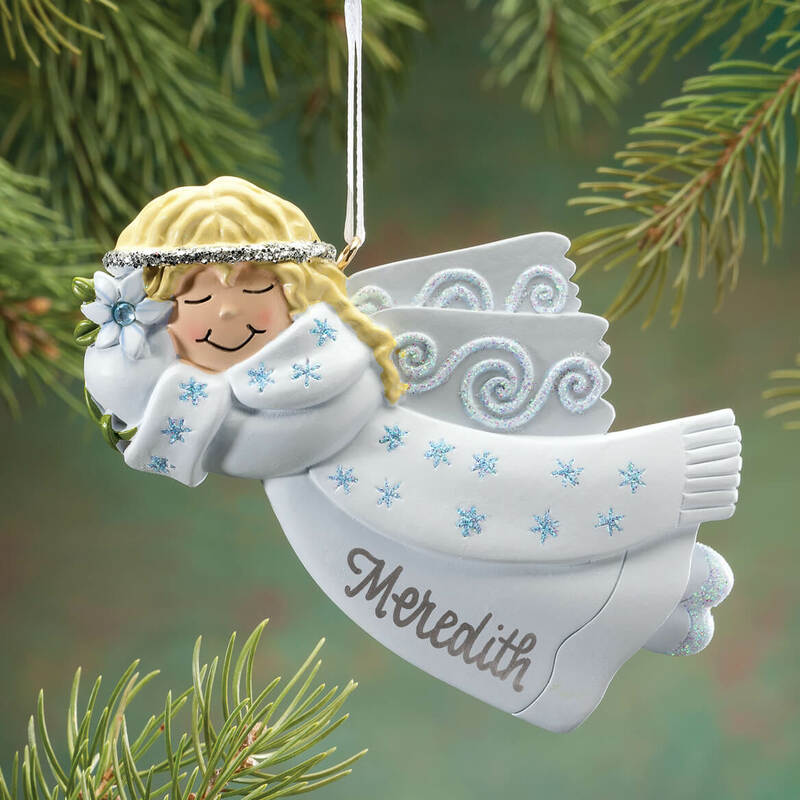 Cute ornament for my granddaughter. 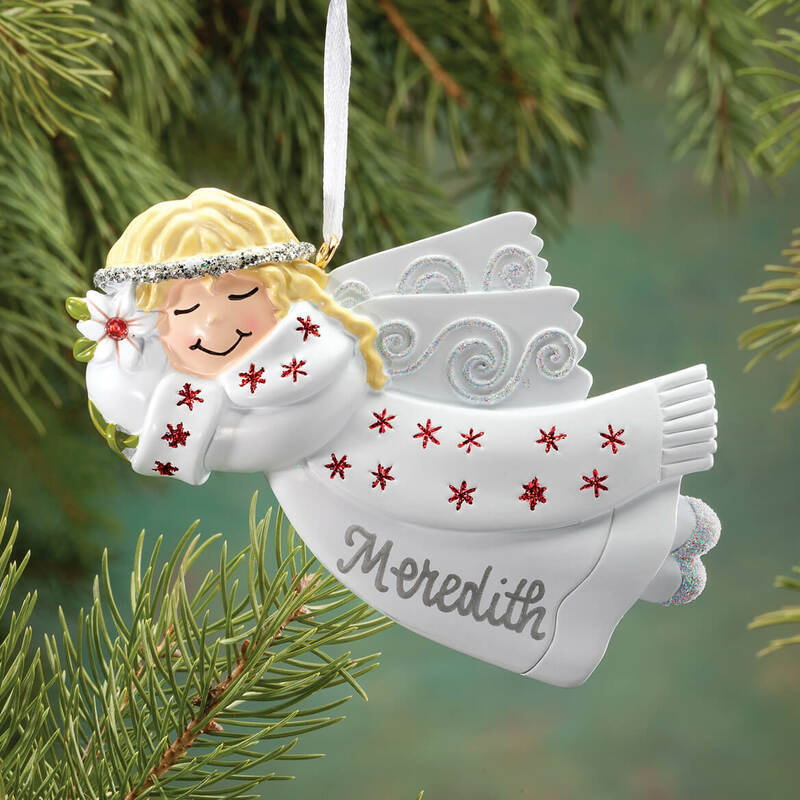 I have tree ornaments for each of my children and grandchildren. 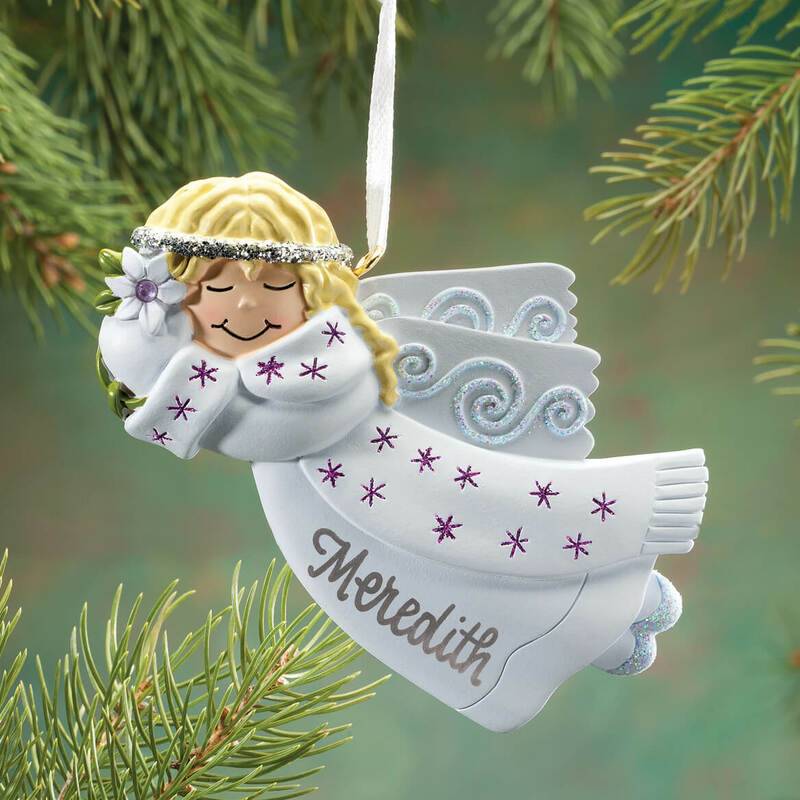 Such a sweet ornament to start my granddaughter's annual collection. 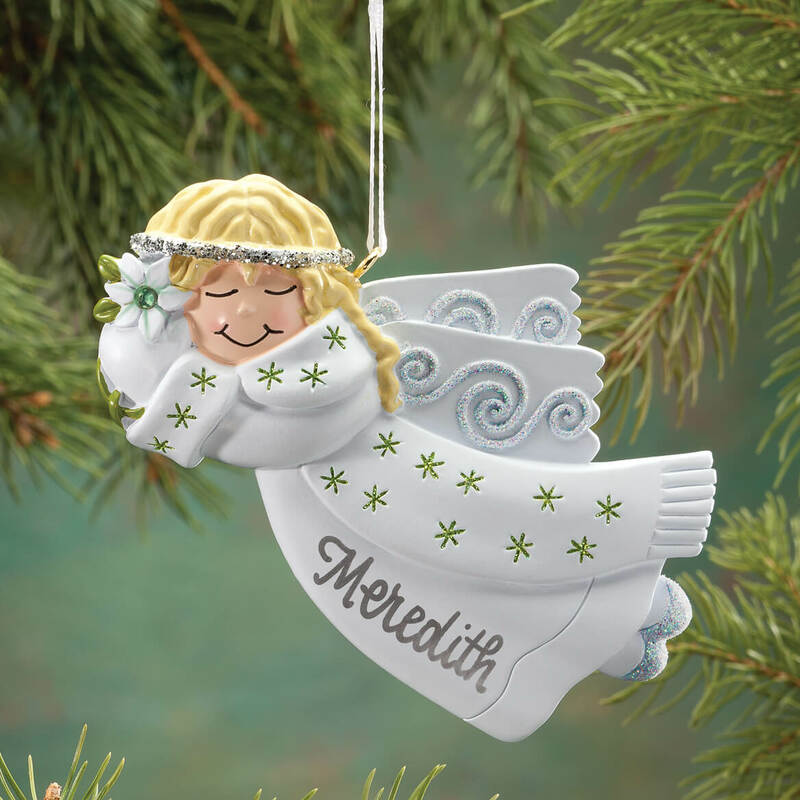 Our first granddaughter is an angel of course, so this was perfect for her! 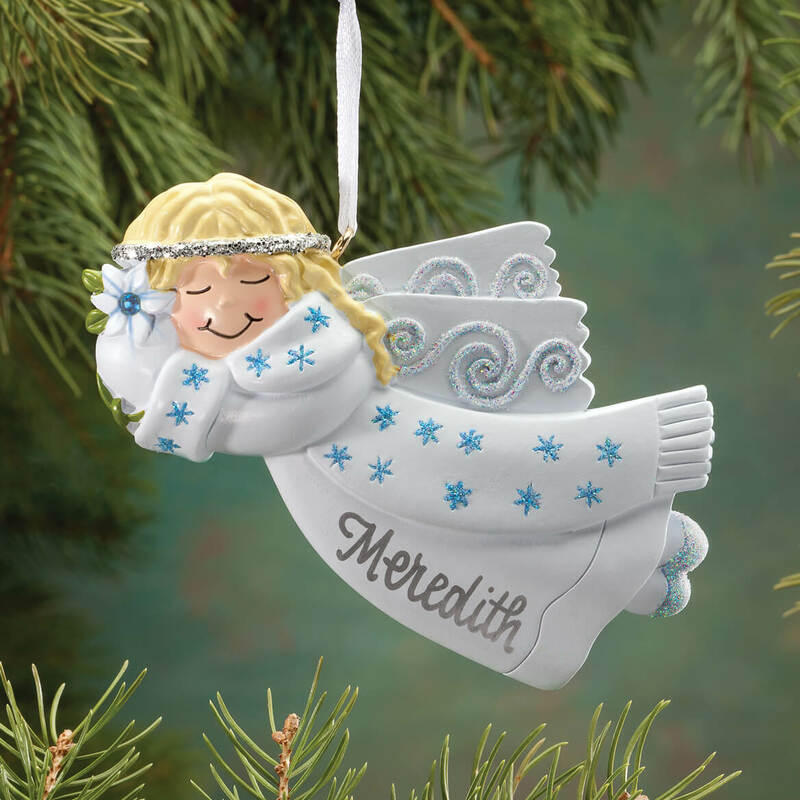 This is my birthstone angel. For our new great granddaughter, (# 11), born in May 2017. Because I have a young lady that I work with that is like a daughter to me. I just thought it would pleased the child. Cute with personal name and birthstone. what month is green birthstone? BEST ANSWER: Either May which would be Emerald (dark green) or August which would be Peridot (lighter shade of green). August is peridot, light green and May is emerald, dark green, Help? May is emerald green, but August is a very pale green. The month of May's birthstone is green (Emerald). May is dark green and August is lime green. Can I like to see the other colors of birthstones and how they look with the ornament? BEST ANSWER: Thank you for your question. The website shows the colors of the months. We hope this information will be of help to you. The website will show you every month's variation. Just click on each month. All twelve are lovely. 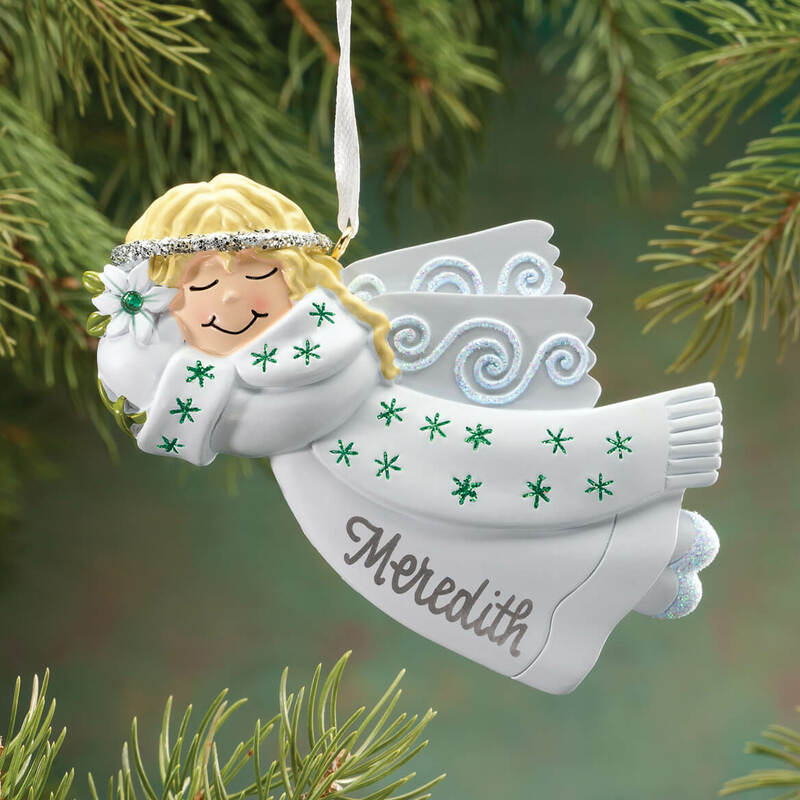 How to request personalizing this ornament? When you "select" the item, you can choose personalize or not. can I mail this ornament to the same address as the Santa letter ? BEST ANSWER: Thank you for your question. Yes, and item can be sent to a different address. Please provide the address when checking out, you will be giving the option to "ship to a different address".We hope this information will be of help to you. 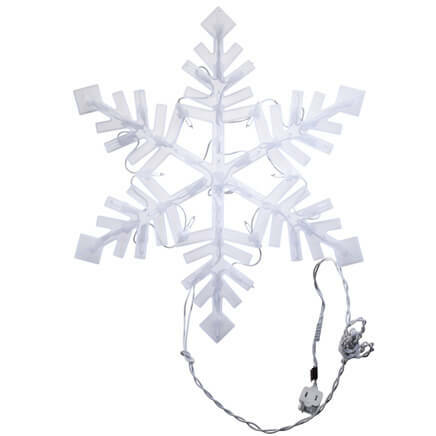 This item I ordered is on backorder how long before I can see if it's to late for Christmas? BEST ANSWER: Thank you for your question. It is in stock now. We hope this information will be of help to you. BEST ANSWER: Thank you for your question. You are able to put anything you want on the ornament as long as it fits with in the 9 letters/spaces characters that the item allows. We hope this information will be of help to you.